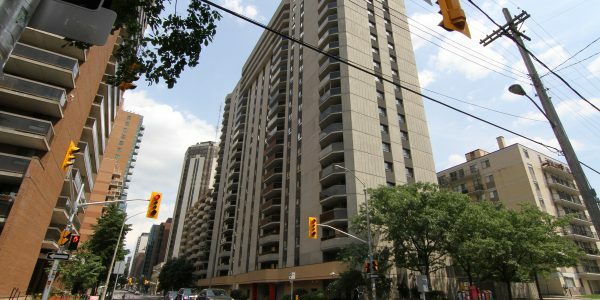 Bay Laurier Place Condo Ottawa is will capture anyone’s attention with its bright red posts at the front of the building. Constructed by Assaly in 1984, this bold grey structure is 20 storys high accommodating 195 units. 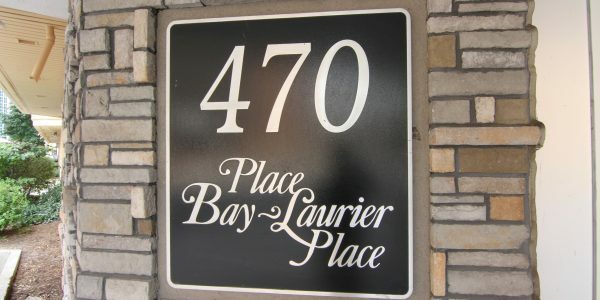 If you’re looking to walk to work, Bay Laurier Place Condo Ottawa is the ideal location in Ottawa’s downtown center. The modern lobby features exposed stone walls and contemporary furnishing. 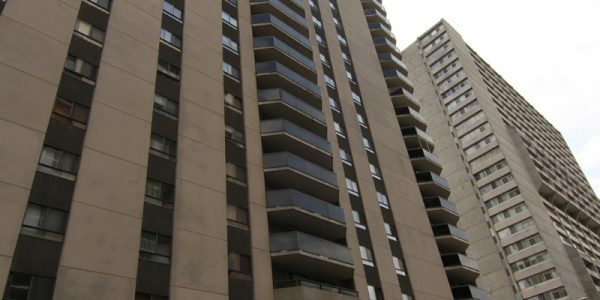 Each floor of Bay Laurier Place Condo Ottawa houses 8 spacious units, including one, two, and three bedroom suites. 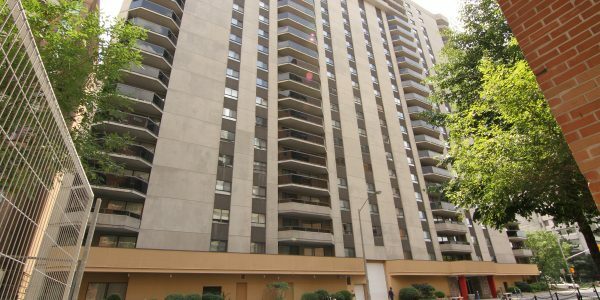 Building amenities include underground parking, 24-hour security, guest suite, indoor pool, sauna, and party room. Out back you can find the garden on the ground level which is a perfect place to relax in the middle of the city.